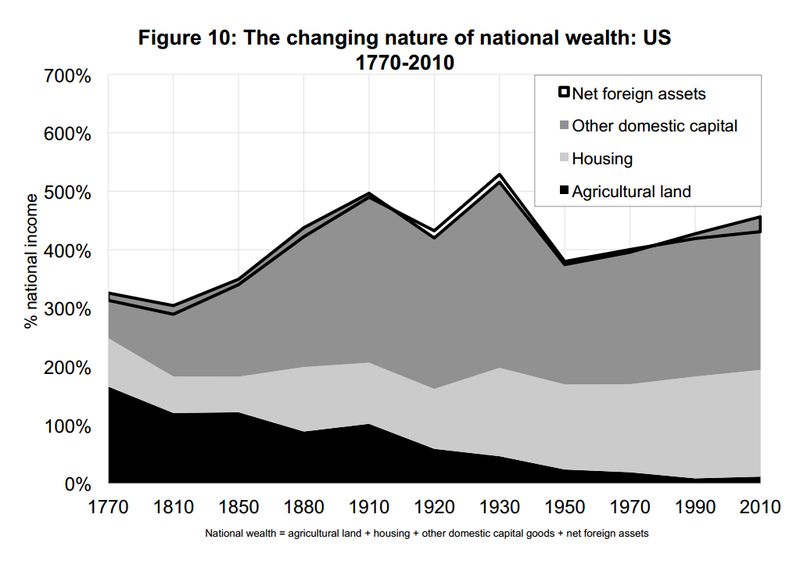 Thomas Piketty’s new book, Capital in the 21st Century, is both controversial and a great success. Despite its flaws, its success reflects growing concerns that need to be addressed. I finished reading the book a few weeks ago and actually found it quite interesting (apart from its nonsensical last section) and easy to read. I am not going to review it here: there are already possibly 1,000 reviews available online, focusing on the underlying economic theory or on the data-picking of the book. One thing struck me though: the lack of explanation as to why the data evolves the way it does. 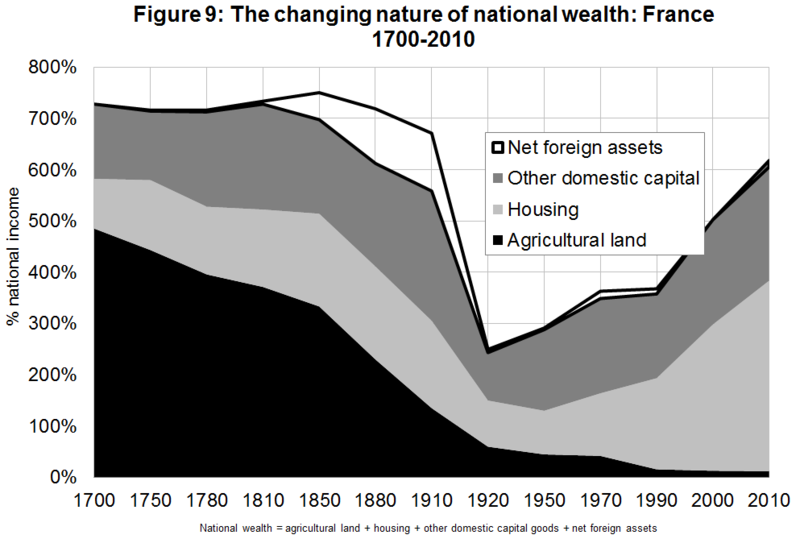 Piketty seems to believe that this is the result of a ‘fundamental and inherent’ characteristic of capitalism (‘r > g’). Fair enough, but despite all his expertise in the unequality area, Prof Piketty seems to lack the necessary knowledge in other economic and finance areas to reach the right conclusions. 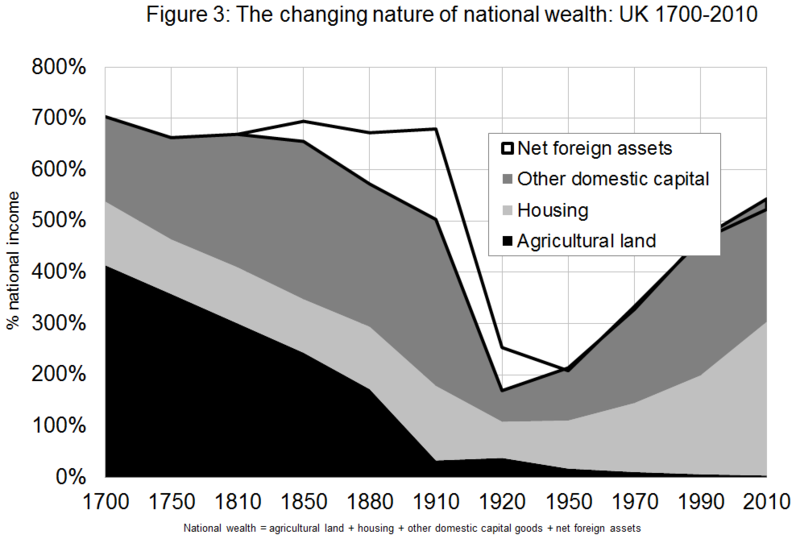 He uses the three following charts to demonstrate the evolution of wealth as a share of national income throughout the last few centuries. 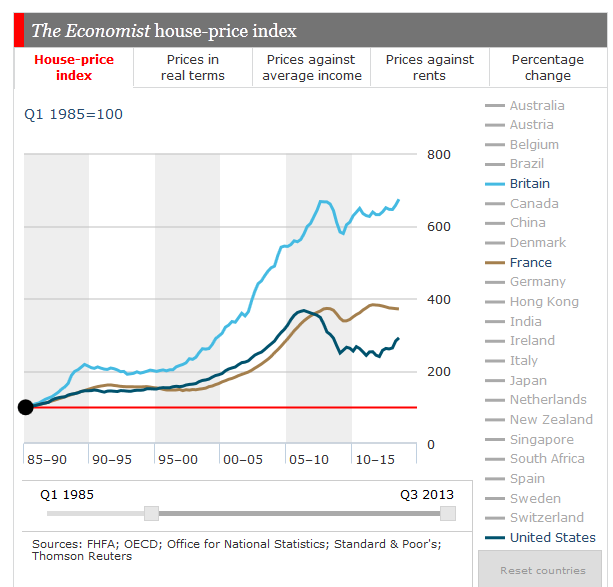 A lot of people have already pointed out that most of what Piketty sees as ‘rise’ in inequality in fact emanates almost entirely from housing bubbles… This is obvious for Britain and France, though I am surprised by Piketty’s US chart as the US clearly experienced a housing bubble as well, which seems not to be reflected in in his wealth data: US housing roughly represented the same share of wealth in 2010 as in 1990. 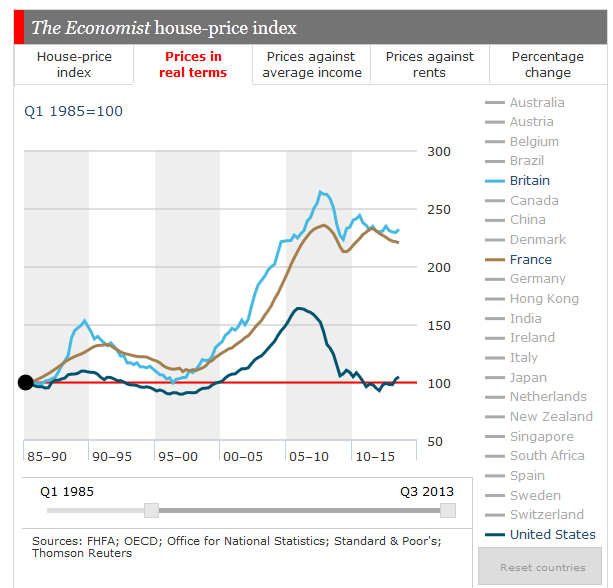 This may be due to the fact that, in 2010, US housing prices had collapsed, which is not captured by Piketty’s chart (which isn’t smooth enough, i.e. one data point every 20 years).